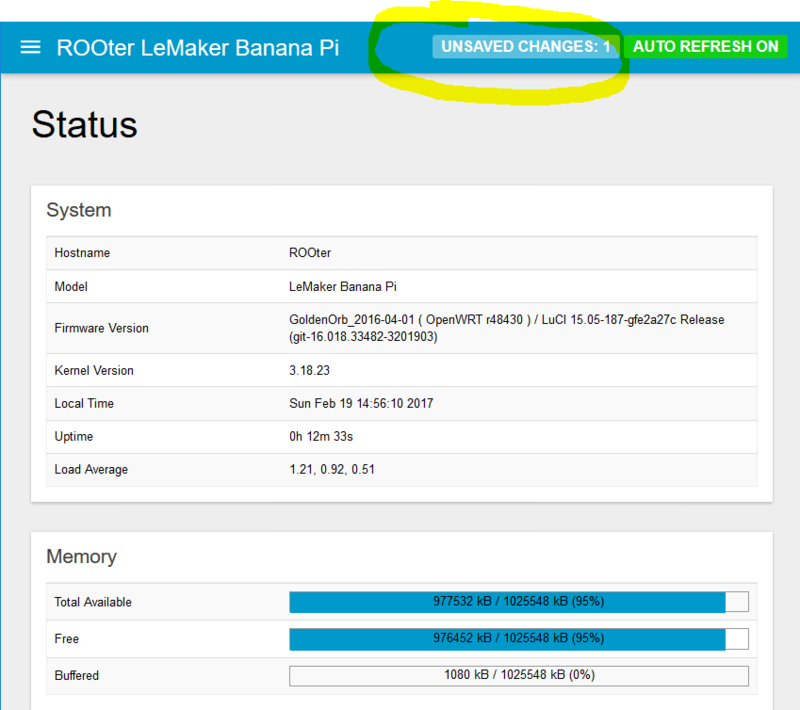 Problem: OpenWRT Rooter LeMaker is running on a Banana Pi. Now the modem monitoring system is rebooting the router every 5 minutes without a reason. * wfopen: //usr/lib/opkg/info/libext2fs.control: Read-only file system. * wfopen: //usr/lib/opkg/info/libext2fs.postinst: Read-only file system. * wfopen: //usr/lib/opkg/info/libext2fs.prerm: Read-only file system. Also in the top of the web interface we can see, there are many “Unsaved changes”. The system can’t write to the disk. Also we can’t install any tools to check the file system. 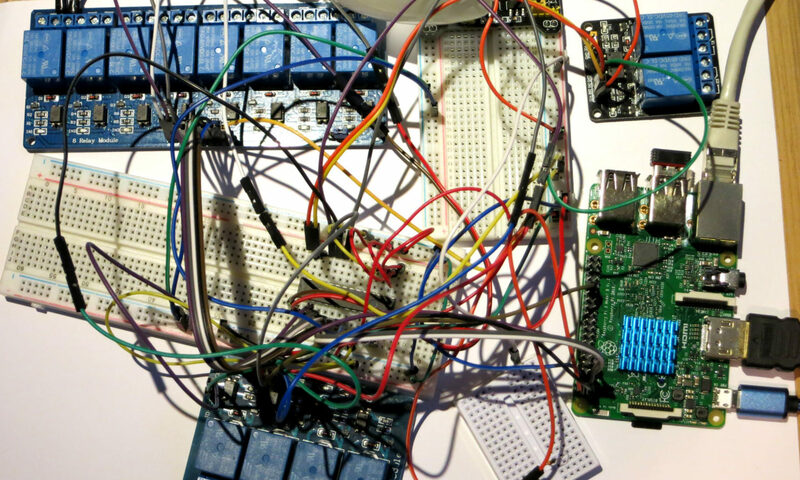 Create a backup from you System ( System – Backup / Flash Firmware). 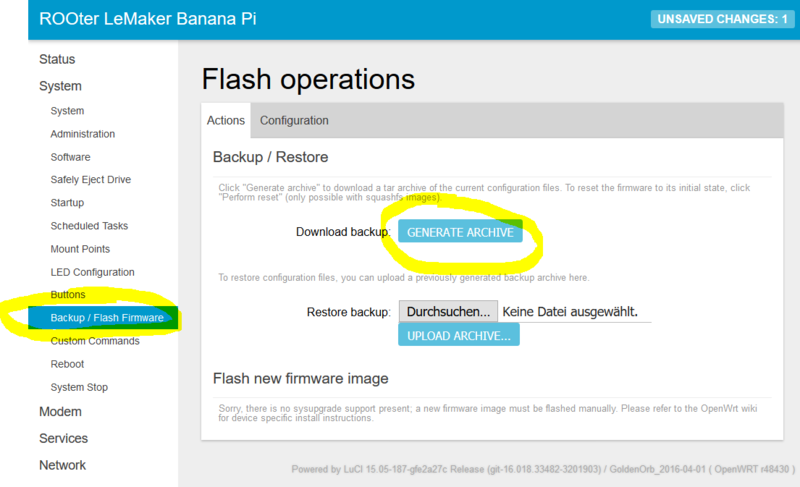 Then remove the SD card from your Banana PI and flash the OpenWRT again! There is now way to fix the problem. When you’re a finished then you can Restore backup. So you get all settings back to your router. Only additional software you have to install again. You can put this in the Local Startup! You must confirm all questions with Y. Then reboot the router. Then you should enable the “Check Files System” on your router to prevent errors.